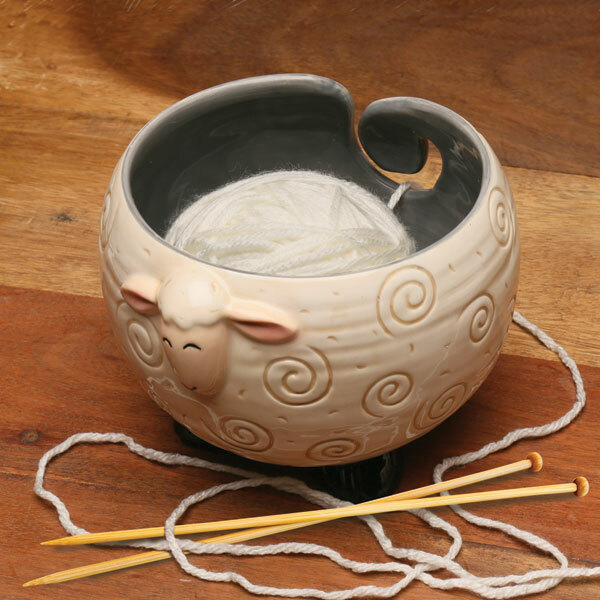 Resting on a table or sitting at your feet, this plump little sheep looks adorable while doing an important job: keeping your yarn clean, contained, and tanglefree. Drop a ball or skein in its belly, feed one end through the tail, and knit (or crochet) away. A gift to delight any crafter, handcrafted bowl has a lustrous glaze and enchanting details. 6" diameter, 4½" high. Hand wash.